Johanna Studios in Charaki, Lindos area, Rhodes, Greece. 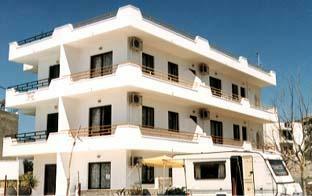 Accommodations in Rhodes, Greek Islands, Holidays. situated right in front of the beach and they are all air conditioned, perfect for those hot summer days! This is the place for a comfortable and relaxing holiday on the Greek Island of Rhodes!